Growing up in a cult, contemporary society was a foreign country for which I had no passport. Hey there! I’d like you to join my cult. Sell your house and come live in the same street as all my other followers. You can join us for gatherings two or three evenings a week, then devote another weeknight to special teachings. Every Saturday and Sunday will be spent in our hall, in one long inspirational love-fest. Doesn’t that sound great? Your children can date the children of other followers. Don’t worry, we’ll keep a close eye on them, especially if they’re girls, who should really pay attention to how they look and behave; the women of our community are respectful and model passive submission, which is just biology after all. You can probably put aside things like outside social contacts, contemporary music and certain types of literature and media – you’re really better off without them. Oh, and if you’re having emotional trouble, relax. We’ve got special counsellors who can make everything better. While you’re at it, why don’t you pull out your wallet and give me a tenth of what’s inside? Yes, that’s right, just hand it over – and then make sure you surrender a portion of your weekly earnings as well. So … what do you think? Are you in? Cults don’t follow this kind of script, of course. If I walked up to you and looked into your eyes and gave you this speech, you’d probably run away screaming. But what if I sat next to you, listened to you talk about your anxiety, your grief, your personal pain? What if I empathised with you, gave you comfort, reassured you that you were a great person, promised you that I could help? What if I suggested that there was a better way of living? What if I seemed like a really decent human being? Would you be more receptive then? 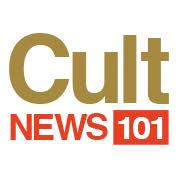 We’ve come to associate the word “cult” with Svengali-type characters, Jonestown and gurus – the Charles Manson effect. But cults take many different forms. I grew up in a Pentecostal-style “Christian community fellowship” in Brisbane. I left when I was 19, but I still remember the experience of emerging, blinking, into the regular world. Life outside the community was utterly disorienting, quietly terrifying, and bigger than I had imagined. There were a host of things I was clueless about. I knew about tithing, but I didn’t know about banking. I knew about prayer meetings but not how to make myself a dental appointment. I knew Scripture, but had no idea of politics or social history. I didn’t know how to rent a place to live, or access public services, or fill out forms. I was a teenager who had never tried alcohol, had been warned that rock music was of the devil, and who had no real concept of dating that didn’t involve my parents praying over me as I left the house. I had no secular friends. I had no driver’s licence. As a teenager, I’d found some relief in making art – painting and writing, particularly (I was banned from reading Stephen King, so I became my own primary content provider). But leaving the community was a steep learning curve. Contemporary society was a foreign country I had glimpsed on television or read about in books – thank God for books – for which I had no passport. Now, decades later, I’m an author of novels for young people. While writing a new story I’d been encouraged to dig deeper for inspiration, so I sat down for a week with a notepad, just writing down every single memory of high school and being a teenager that I could think of. Many of the memories were about the community I thought I’d left behind – I found them intensely uncomfortable. It took me a while to figure out that this discomfort was something I should lean into. 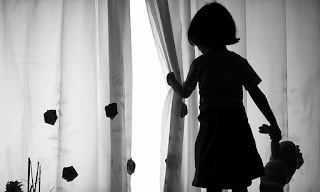 I remembered the words of writing teacher Anne Lamott: “When you get serious you will be dealing with the one thing you’ve been avoiding all along – your wounds.” So I wrote towards the bleeding parts, and gave the character of Rory Wild in White Night a childhood as steeped in fanaticism as my own. Sure, I researched. I pondered the issue of how a demagogue can turn a community into a cult, and spent a lot of time looking at contemporary communes and intentional communities, particularly communities that failed. But whenever I really needed to get into Rory’s character, my mind started circling the drain of memory. Rory’s naivety about fashion, school and social relationships? That was mine. Her outsider’s view of contemporary life? That was me, too. When Rory says, “I like the world, but I don’t really feel like I belong in it”, I was quoting from life, and her culture shock at entering high school was my own. The love-bombing and psychological manipulation exhibited by the charismatic leader of Rory’s community was something I’d witnessed firsthand – I’d seen how community leaders drew people in by sidling up to them during personal crises. I had the experience, I had the material – I knew what cults were like. The pieces of yourself that you gift to a novel are part memory, part invention, part gut instinct. White Night revolves around the question of how teenagers find their ethical path if the adults around them are modelling dysfunction. If that sounds a little cynical as a premise for a young adult novel, I don’t think that’s a bad thing. Cynicism is probably one thing I took away with me, after leaving home and, by extension, the community my family was involved in. A little cynicism goes a long way when you’re disentangling yourself from a cult. It’s the questioning voice, the niggle of doubt that gives you the impetus to question more, and finally make your own decisions. • Ellie Marney is a teacher and an author of award-winning young adult fiction. White Night is her fifth novel for young adults.